'Cross the Rainbow Bridge of Asgard, where the booming heavens roar, you'll behold in breathless wonder, the god of Thunder, Mighty Thor!" 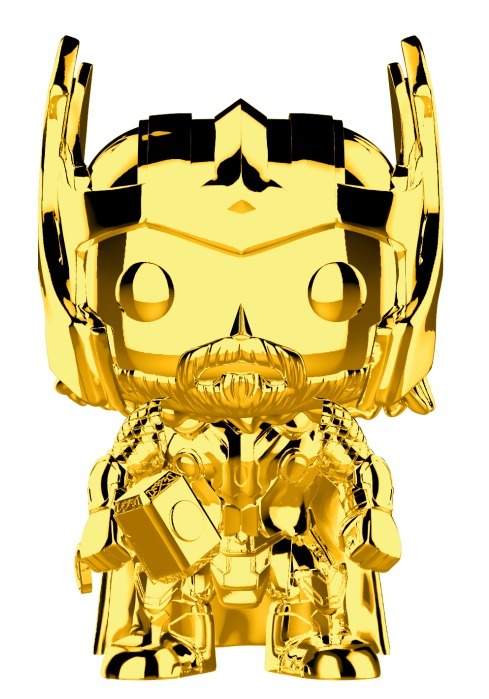 This Marvel Studio's 10th Anniversary Chrome Thor Pop! Vinyl Figure #381 measures approximately 3 3/4-inches tall. Comes packaged in a window display box. Ages 3 and up.